Pair these flavors for the perfect Pear and Cheese Plate! 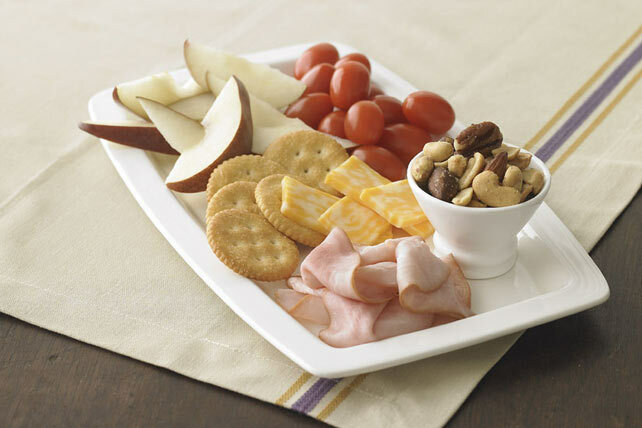 Savory crackers, ham and cheese, sweet-tart tomatoes & pears make up this Pear and Cheese Plate. Pack it to go or eat it at home. Enjoy! Substitute 3 slices OSCAR MAYER Deli Fresh Honey Ham for the ham. Serve with a glass of fat-free milk.